'Nail it! 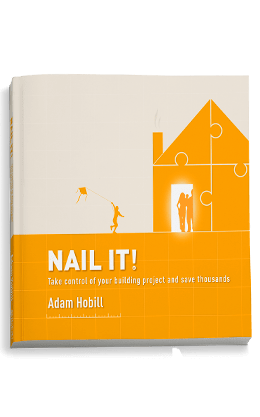 Industry insights to take control of your building project and save thousands' is a must read for anybody embarking on a building project. Learn the key steps and knowledge to gain peace of mind for getting the best outcome for your project. ‘Nail it! Industry insights to take control of your building project and save thousands’ is a comprehensive guide to help homeowners reduce the headaches associated with building and renovating and give them the knowledge and peace of mind to save thousands of dollars on their building project. 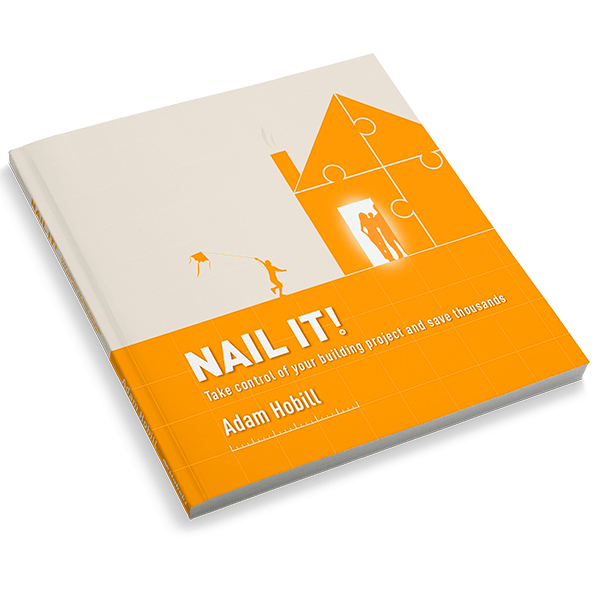 Nail it!… is a brand new book written to help prepare the reader to ask the right questions to develop a collaborative relationship with their builder and empower them with the knowledge to make informed decisions to control the costs of their building project. Australian House & Garden and Home Beautiful magazines, this book offers a unique perspective of what it takes to develop a strong builder/client relationship and to ensure a successful building outcome. If you are building, extending or renovating and you want to be on a level playing field with your builder; then this book is a must read. Purchase Nail it! to read about the critical steps to take to ensure the successful and stress free completion your building project. It will educate and inform you so that you’ll have a greater understanding of each step in your project and help you stay in control. There are many key factors to achieve a cost effective build. Nail It! lists out many of the areas where you can minimise unnecessary costs and potentially save thousands of dollars. You’ll learn how to identify where your budget could blow out and what you should allow for contingencies. Building and renovating is a new experience for most people and it can be a very confusing and anxious time. Nail It! takes you through every stage of a building project – from the initial stage right through to the actual building process. You’ll be better informed and prepared which means way less stress! Nail It! explains all the pitfalls that can happen during a project that can lead to budget blowouts. Being aware and prepared right from the very start of your project is the best way to keep your budget on track. Choose to either purchase the book as an eBook download or order a hardcopy version; we’ll post it to you anywhere in Australia for free! Nail It! gives you the insights from a professional who has had over 20 years in the building industry. It will educate and inform you so that you’ll have a greater understanding of each step in your project and help you stay in control. "What a great book!! Thank you for sharing your experiences, knowledge and the information you have gifted to empower clients who are or thinking of embarking on various building projects." "I love it! !.....it is such an eye opener! with tips, advice and suggestions..... I haven't finished yet but enjoy every moment I get to read it." Your purchase of the book Nail it! includes free delivery Australia wide. Simply click here to complete your purchase. Simply click here to complete your purchase of Nail It! as an eBook version.